The holiday season is right around the corner. Starting off with Halloween, Thanksgiving, and Christmas, it will be filled with family, feasts and for some of us, missed training (we will stay open but for a select couple days). As amazing as the anticipation of the holiday season can seem with its lure of time off from work, from school and from our normal routine, we must be careful that we don't derail the progress we've made by straying too far from our routine we’ve kept all year around and lifestyle we follow throughout the rest of the year. Here are just a few ways that training jiu jitsu can help ensure that your holiday season is the best it possibly can be this year! By applying a few of the aspects of the BJJ lifestyle you follow year round can make the holidays more festive and healthy for you. There are so many causes of stress during the holiday season. First off, the changing of seasons and the onset of the cooler weather tends to force people to be indoors much more which can lead to periods of relative inactivity compared to the rest of the year. In addition, the shorter days, especially if you're in the part of the world where daylight savings time brings utter darkness by dinner time, the lack of sunshine can be very depressing and can actually lead to conditions like Vitamin D deficiency and seasonal depression. As wonderful as our families may be, the annual social gatherings filled with people you don't see the rest of the year can be stressful in itself. Holiday classic films like Planes, Trains, and Automobiles and Christmas Vacation come to life for many of us as we spend extra time planning, traveling and visiting with as many family members as we can during this special time. Even if you enjoy this process, it is still stressful. It is still a change to your normal routine and can impact your health and well being. How can jiu jitsu help us during these hectic festivities? Science has long shown that physical activity of any kind can help relieve stress by helping to release excess energy and release endorphins. BJJ can also do so much more because of the community that surrounds you at your academy. Chances are you have friends and peers who also train. Being around those folks can help fight off the winter time blues and give you a welcome break from the Aunt Marthas of the world. With that said, it's important to try to be as consistent in your training as you possibly can. Your instructors and coaches have families and responsibilities too, so there is a good chance that your academy may be closed during some of the holiday season more than usual. Do you best to get in training while the gym is open. Rearrange your schedule if Thursday (Thanksgiving) is a typical day you plan to train and your gym is closed. Some academies also offer Open Mats in lieu of regular classes during this time. This can be a great way to squeeze in an extra hour or so of training, when your gym was supposed to be closed. So what do you do if your gym is closed or you're traveling for the holiday season? If you're planning to travel, it's always to see if there are other gyms in the area that you might be able to check out. Most BJJ academies are amazingly hospitable and if they're having classes or open mats, will welcome you. But let's say you've tried that and there is no one open in the vicinity where you find yourself. What can you do? Anything you want, do another physical activity of any kind to keep yourself moving. Yoga and BJJ-related body exercises (shrimps, bridges, etc.) are something you can do anytime with limited space. A short weight training circuit can do wonders for your stress level even if you have to utilize the limited options at a hotel fitness center. Twenty minutes is all you need to make sure the rest of your day is festive. Coupled with the stress that the holiday season can bring, the prevalence of huge feasts can be a daunting obstacle to your jiu jitsu goals. Whether it's the potluck buffet at work, or the holiday dinner with relatives, the chances of overeating are high this time of year. You just spent 6 hours in the car listening to Christmas Carols on your way to your relatives house. What better way to numb your suffering but through a pile of mashed potatoes and half a pumpkin pie. Sticking as closely to your jiu jitsu training schedule can help with these holiday binges by helping to burn off some of the calories you may be consuming. It has also been shown that physical activity can sometimes curb one's appetite and help minimize the amount that you eat. If you are lucky enough to be able to train on the morning of Thanksgiving for instance, there can be a truly satisfying feeling having just rolled for an hour or two before sitting down to dinner. What are some other things you can do to help control yourself and possibly minimize the damage should you veer off course? This is one of the main tips that Tom DeBlass gives out when giving someone any type of nutritional advice. He has stated in the past that he's seen dozens of people lose upwards of 10 lbs of weight making no changes to their nutritional approach except adding one gallon of water intake to their daily plan. When you're rushing around and dealing with the hectic holiday season, it's easy to skip meals or go long periods without eating. This makes us prime targets for binge eating and will make even the toughest, most disciplined athlete weak in the face of that cookie and dessert table. Plan in advance and have plenty of healthy snacks available. Protein and healthy fats can be some of the best items to snack on. Eggs, nuts, greek yogurt, and low fat cheeses can be quick snacks that will give you a few hundred calories to keep you satiated and possibly save you a few thousand calories of mindless binge eating later. The holiday season is predicated on the importance of gathering together with your friends and families and enjoying quality time. This goes for your jiu jitsu family as well. Perhaps your school plans holiday get togethers. Do you best to support and get everyone involved in these events. We cannot be successful without our teammates and this time of year can be a great time to acknowledge them. Jiu Jitsu can be a life changing art that can inform your life year round, especially during the holidays. It will help you stay calm under pressure, burn off some stress and extra calories. By staying consistent you will eliminate the holiday layoff and the challenging return that can sometimes follow. You will also get a jump on those New Years resolutions and be way ahead of the competition! New Stripes and Belts and a amazing Saturday Class. Saturday’s class was packed and full of positive energy, thanks to all our students for their commitment to excellence. 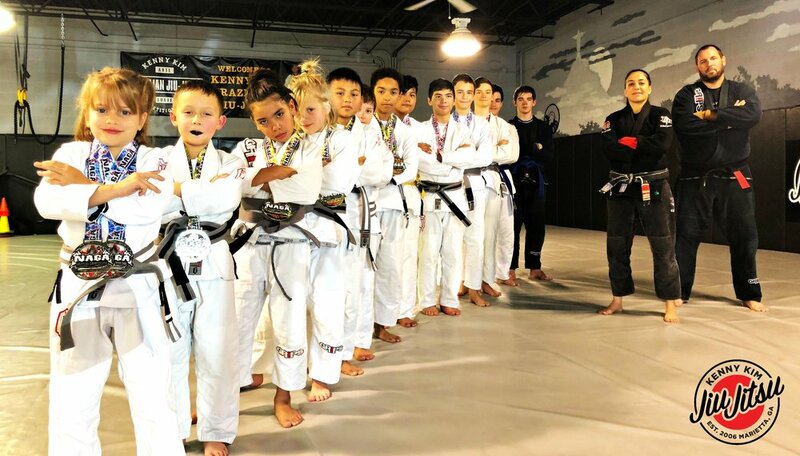 We had over 30 people who were awarded new stripes and a handful of students who were promoted to new color belts. CONGRATULATIONS! Spring Break Modified Schedule April 2-7th. The academy will be on a modified schedule during the 2018 Spring Break week April 2nd - 7th. ALL kids classes will be canceled on this week and will resume back to normal schedule Monday April 9th. This is a great opportunity to take a few days off and enjoy the break whether you are out of town or in town. We will be combining ALL adult classes Monday through Thursday. The ALL level class will be held at 7pm (Gi class). Friday 6pm positional training and Saturday (April 7th 1230pm) all level classes will remain on the same schedule. Monday 6am, Wednesday and Friday Noon classes will also be canceled. Please mark your calendars and hope you all have an awesome spring break! Give the perfect gift for your self or loved ones! E-Gift cards are now available for purchase and the best part about it is that you can purchase it online without coming into the academy. You can purchase pre set amount or custom amount. Click here to make your purchase. 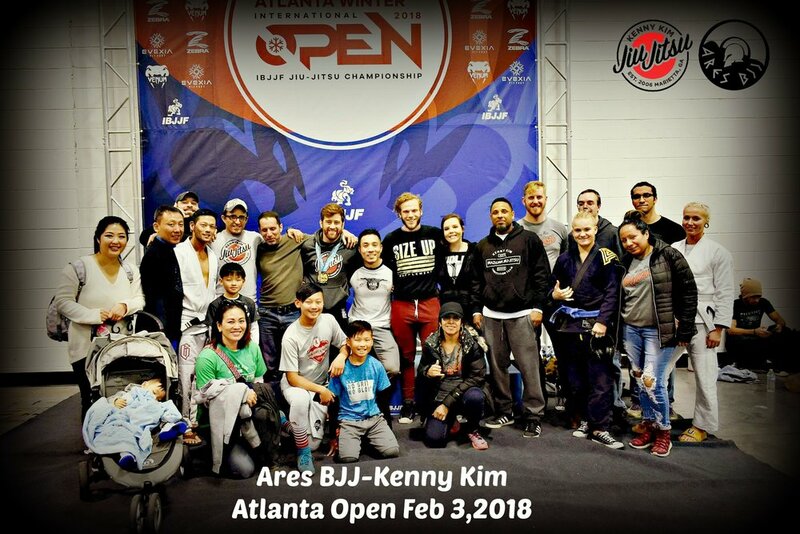 This past weekend our team Ares BJJ-Kenny Kim participated in the Atlanta Open Championships and it really showed how strong our team was. There were wins and loses but the amount of support we had for one another was something incredible. A big group of guys/gals who weren't competing still came out to support the teammates competing and stuck around to cheer them on. See, a tournament isn't always about winning or losing but the unity it brings to the team and the support we show each other. 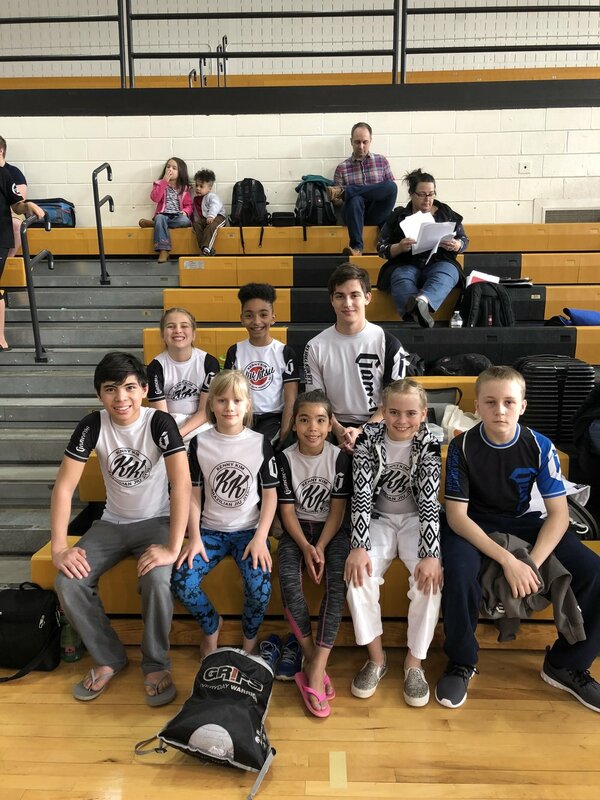 We also had members from other Ares BJJ Association that competed with pride representing our name, we are proud of ALL of you and Thank You! You are why our team is so very special. Next one will be in May so let's start preparing now and have a good showing! 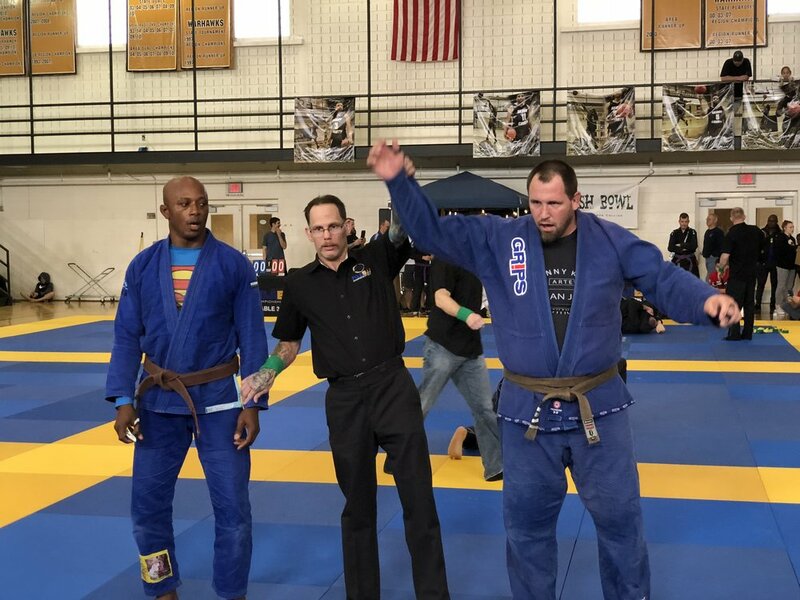 Before the IBJJF Atlanta Winter Open we had the pleasure of having one of Ares BJJ Association's top level black belt share some techniques with us. Some fine little details to tweak our game. The mats were full, energy was high and our students made it even more special. We wish the best of luck to everyone competing at the open. Thank You all for the support. Another year has passed and we are blessed to be starting the New Year on the mats. 2017 was a great year just like all the other years but for me personally it was even more special.. I was blessed with a son to enjoy this journey we call life. There were a lot of growth within the academy and I see it growing even more in 2018. 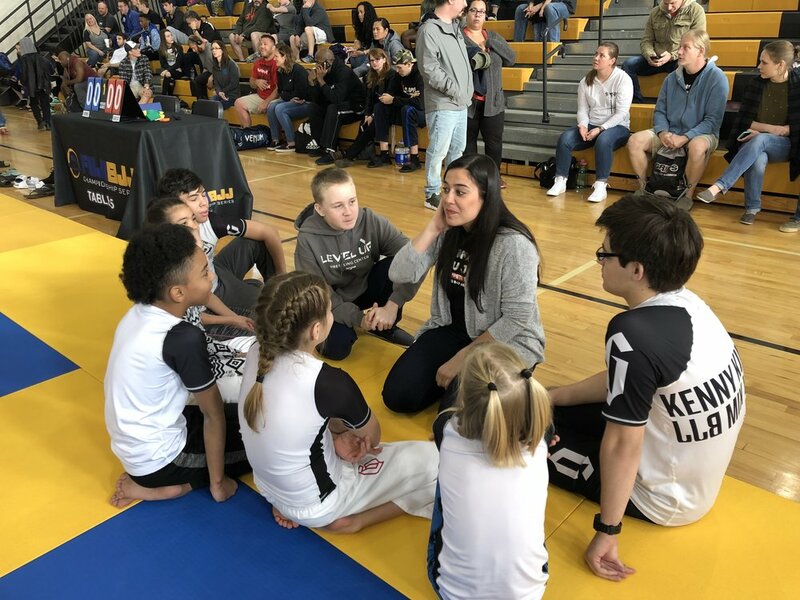 I want to personally thank you (students, parents, friends, training parters, and even the haters) for having the confidence in Kenny Kim Brazilian Jiu Jitsu and for your continued support and friendship. My goal for 2018 is to strengthen our team even more and provide an outlet for anyone interested in benefiting from jiu jitsu and continue to open our doors for non political jiu jitsu environment for all BJJ practitioners. Again, I'm beyond thankful and I wish everyone lots of love, laughter, health, and success in the new year! This past weekend we had the pleasure of attending our association year end party/banquet. We had the pleasure of winning the 2017 Academy of the Year award. 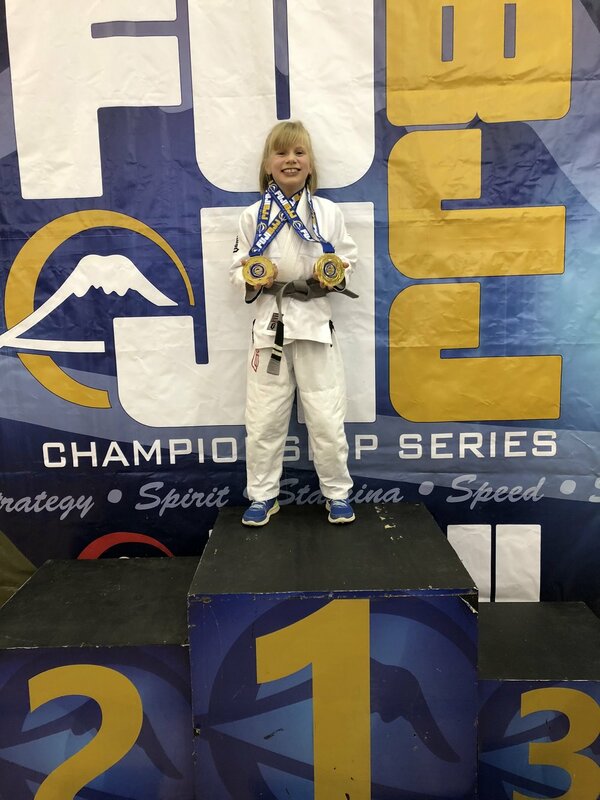 This is proof that we are growing in a positive direction and our academy is flourishing with great jiu jitsu and most importantly with amazing people. We can't wait to see what 2018 has in store for us here at Kenny Kim BJJ and Ares BJJ Association. Thank You all for a fantastic year!! Attention! Due to the overwhelming response from the public we have decided to go LIVE with our Black Friday Deals early! The registration is now open and when we hit capacity (10 memberships) the registration will be closed. Get online now before you miss out! BLACK FRIDAY SALE IS FOR NEW STUDENTS ONLY (DOES NOT APPLY TO FORMER STUDENTS) Paid in Full Option and includes premium uniform (gi) and belt. On Friday Nov 24th from 8am-5pm only our 12 month UNLIMITED training membership will be at a 50% discount!! This is unheard of since we have never had deals or special on our memberships. Only 10 memberships will be sold at this deal and online only from 8am-5pm. The Black Friday memberships are 12 months in length and it includes unlimited training and includes a premium uniform (gi) and belt. When you purchase the deal you are paying for 12 months up front and there is NO REFUND. Who can purchase this membership? This Black Friday Membership can only be purchased by NEW STUDENTS ONLY (DOES NOT APPLY TO FORMER STUDENTS) This membership can be used either four our kids or adults programs. Only 1 per family can be purchased. Once you have purchased your membership you will now have access to all of our classes you qualify to attend. Visit our class schedule to see your class times that fit your schedule. On Friday Nov 24th from 8am-5pm only, our 24 month UNLIMITED training membership will be at a 50% discount!! This is unheard of since we have never had deals or special on our memberships. Only 5 memberships will be sold at this deal and online only from 8am-5pm. The Black Friday memberships are 24 months in length and it includes unlimited training. When you purchase the deal you are paying for 24 months up front and there is NO REFUND. 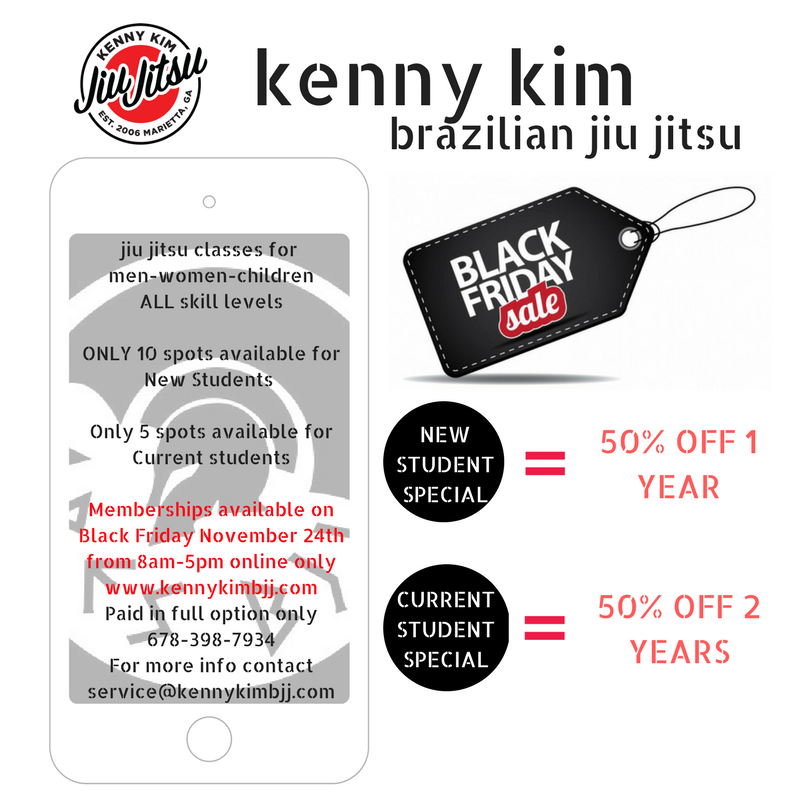 This Black Friday Membership can only be purchased by Current KKBJJ Students This membership can be used either four our kids or adults programs. Only 1 per family can be purchased. Today we celebrated our bi annual belt promotions with a full house! Even though everyone wasn't here we did our best to get the entire student body to partake in this special day of promotion and celebrations. Congratulations to everyone who received new stripes and new belts , it's a long journey but definitely worth it! We are so very proud of every single one of you! Congrats to Suzanne Martin, Russ Martin, Brandon Foy, Wes Butsch, Justin Hubbard, Alex Kay, and Sherri Dunn on their promotion to Blue Belt and Chris Scott on Purple Belt. It was amazing to see everyone here on the mats supporting each others accomplishments. Today not only did we celebrate your success on the mats but also built everlasting memories and strong team relationship. Keep training hard and stay on the mat as long as you can! One day you too will become a Black Belt! 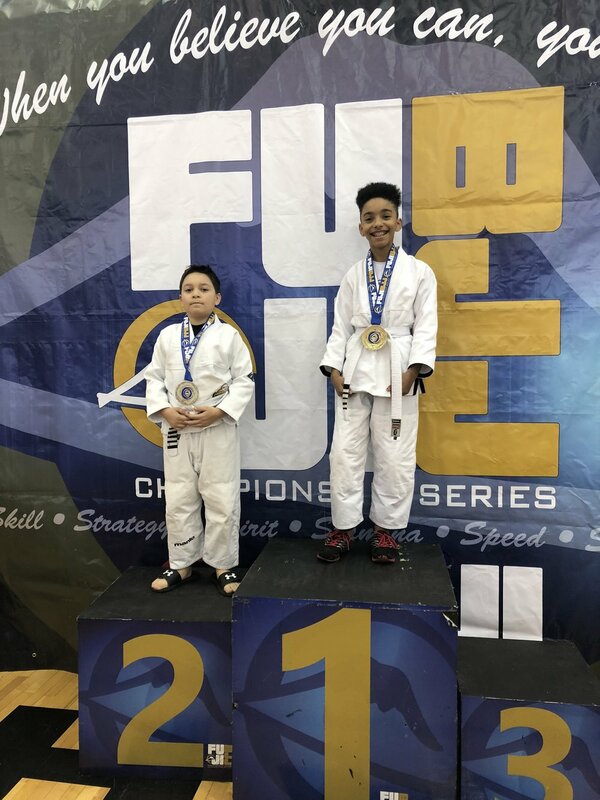 Congrats to Zoe Glick, David Lima, Eddie Richardson, Enoch Johnson, Tre Crawford, Zac Cunningham, Eden Brown, Jesse Wagner, Kennedy Turney, London Brown, Luis Rivera, Sofia Alvarez, Colton Ellison, Mitchell Ellision and Analily Rivera.